What: British & Irish Lions Touch Tournament – each team will represent a specified Lions tour team and compete against all the rest. Let’s see who will make it to the final! Prizes will be given to the winning team. Pay for your ticket now to secure your place! Where: Hinckley Rugby Club are hosting a Touch Rugby session for people with learning disabilities. The one-off Touch Rugby taster session is aimed at getting people with learning disabilities into touch rugby. 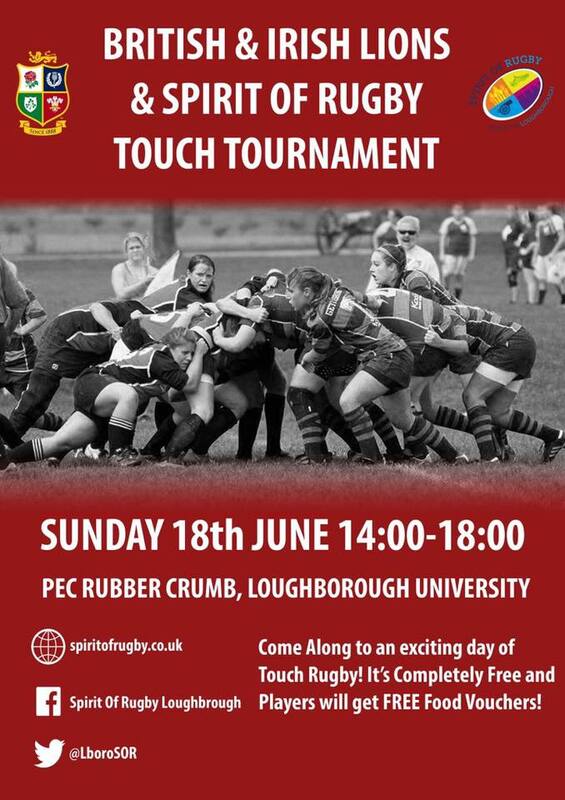 The free session will be held at 6:30, with the hour containing an insight into touch rugby and chances to improve at and enjoy the game. To register your interest or for more information, please contact Mark Beeby via the contact details below.